Magento is the most used open source platform for e-commerce in the world, with more than 260,000 merchant sites and over 28% of the total mobile apps. Recognized by e-commerce giants like eBay, it has a proven record for creating secure, scalable, feature-rich, and affordable mobile apps. Magento’s modular architecture offers control to e-merchants and imposes no constraints on business processes or business flows. Further, it is rooted in mCommerce since Magento meets the needs of companies, who wish to have a 100% responsive online sales platform. With a range of unparalleled features and thousands of extensions, Magento has everything businesses need to create a variety of applications, modules, plug-ins and e-commerce features. Thus, if your eCommerce business is not using Magento, our article aims to highlight features around how Magento app development can help you scale to the next level. According to the 2018 Internet Retailer Leading Vendor report, Magento customers recorded an 82 percent annual increase in digital sales, 66 percent more than their first competitor. Magento Community Edition is an open source platform with an option for easy download. It includes support and updates from the extensive community. Further, Magento even offers viable options to select your hosting service. Cloud hosting reduces the cost of ownership, as you do not have to incur the cost of maintaining or monitoring the solution. Currently available in three editions – Magento 2 Community Edition (EC), Magento 2 Enterprise Edition (EE) and Magento 2 – it offers possibilities for almost infinite evolution and control. Single products, bundled products or customization, everything can be put on the finger of your customers through Magento mobile applications. The Magento mobile app supports different languages without the need for manual effort. Content, banners, and images are converted into the desired language with a few simple steps. Further, the voice search function offers multilingual support too. Thus, customers can search and land on their desired products with ease. The shopping cart process on Magento is simple and optimized. It is for one page or you can create extra pages according to your preferences. It allows one-click payments, and shipping to other addresses if needed. The customer can buy as a guest or a user to skip the registration process. In short, shipping, payments, with an integrated checkout are a part of Magento mobile development solutions. The Magento CMS allows unified management of product catalogs across categories. It provides robust support for the inventory management for various product types. Thus, if you plan to sell a range of several thousand products, you should turn to Magento. Also, the administration interface makes it possible to apply group updates, which saves a considerable amount of time. Magento provides tools to develop native Progressive Web Apps. It helps retailers to create online stores create an experience with faster page loading and, increase conversion rates. You can learn about how Magento Mobile Commerce with PWAs.As. There is no code or manual synchronization involved with Magento mobile app development. The entire eCommerce store, regardless of the type of products synchronize with the application in a few simple steps. Further, the automation of the process does not compromise on the quality of display. Layered browsing provides better filtering options. Most bounces and exits from the online store occur because due to difficulty in navigation. With quick search options and better navigation, the app makes it easy for customers to find products. Magento provides a number of security extensions and patches along with regular updates. You can add an SSL certificate and run a two-step authentication process to protect your site’s back end. All Magento sites must comply with the PCI standard. As a result, customer information is not stored or transmitted without their knowledge. Magento mobile app development offers robust customization capabilities, via an advanced interface that allows you to directly edit raw HTML / CSS code to give you total control over the design and appearance of your store. 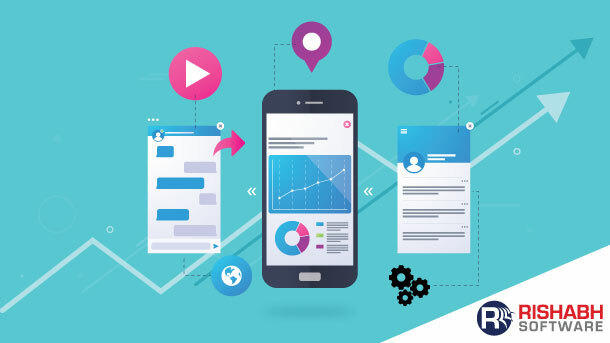 The reporting and analysis capabilities of the Magento android app development platform allow companies to track business performance across campaigns. Magento’s Business Intelligence tool allows seamless report generation for the sales function, the products in inventory, the abandonment of baskets, the customers, and more. Thanks to the many reports, it is possible to analyze the activity of your site with detailed statistics. To conclude, speed, relevance, and personalized content are some of the factors that affect the user experience with eCommerce mobile apps. 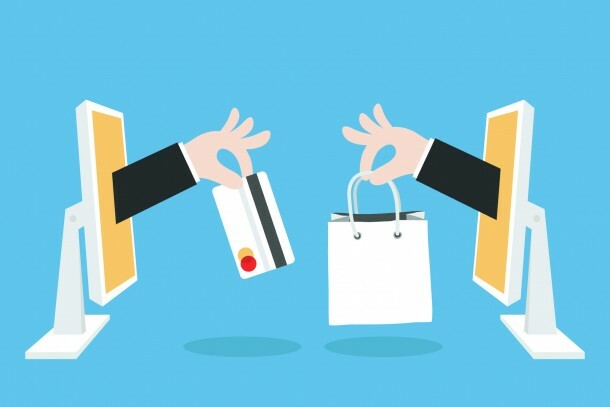 So, selecting the most appropriate e-commerce platform like Magento helps create, manage, and maintain an online store that decides the success or failure for the business. It is especially important for businesses with limited resources and budgets. Rishabh Software offers a robust and cost-effective way to empower your Magento e-commerce business applications. As a Magento development company, we help integrate the excellent features to your apps by transforming the customer experience and driving accurate conversion. Seeking Help For Your Magento Mobile App?RishabhSoft can develop your Magento application to boost revenues and enhance customer experience.